This is a photo my grandmother Carmen Gullicksen (n. Dominguez) showed me last year when I went to Missouri to meet her for the first time. It makes me smile just looking at it. 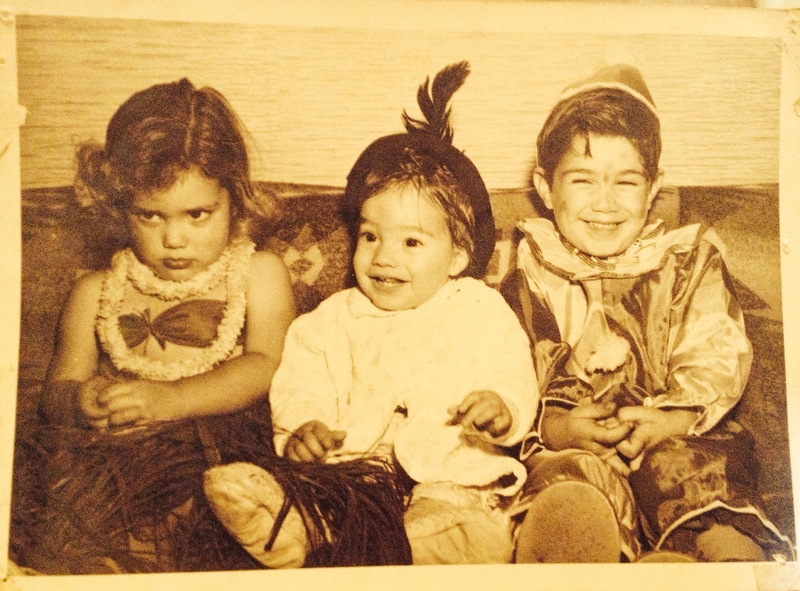 I’m guessing it’s from Halloween from the late 1950s. From left, Christina Gullicksen, Otto Gullicksen, and my dad, Steven Gullicksen. This kid looks like he just does not trust the camera. 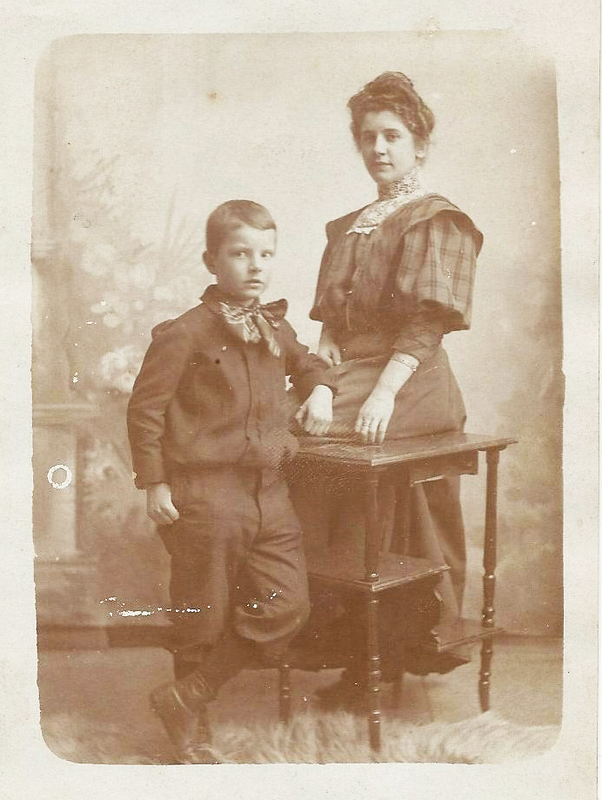 This is an early 1900s photo of Cornelis “Cees” Kool, with his governess, that Halbo Kool sent me a while back and I recently remembered I meant to post it. Cornelis was born on July 6, 1900, in Groningen, Netherlands, and died a grandfather in Canada on March 27, 1979. From what I’ve heard over the years, he was a pretty cool guy. Very smart. I’ll write more on him later. Johan “Hans” Siersema and friends. 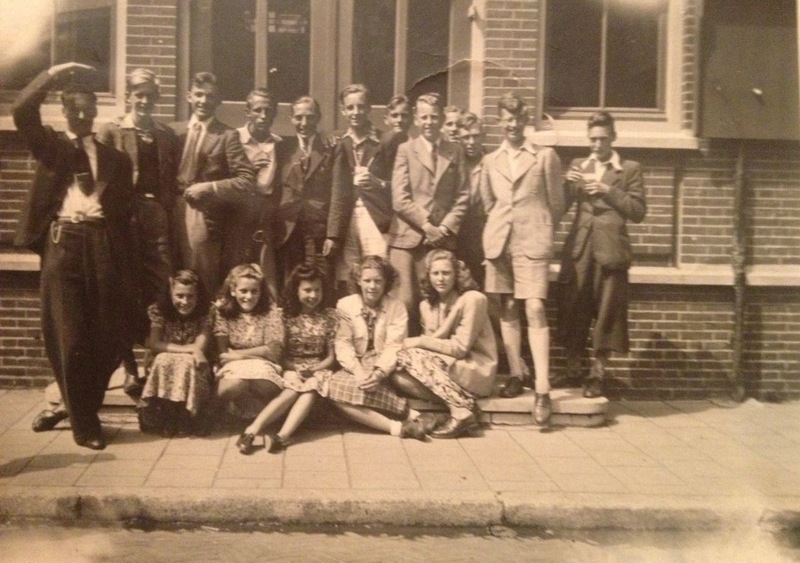 UPDATE: Cousin Anje was able to track down a Ducth newspaper clip that said Johan graduated from Gooisch Higher Citzens School in Bussum in 1943, indicating that this is a school photo. She posted more details in the comments. 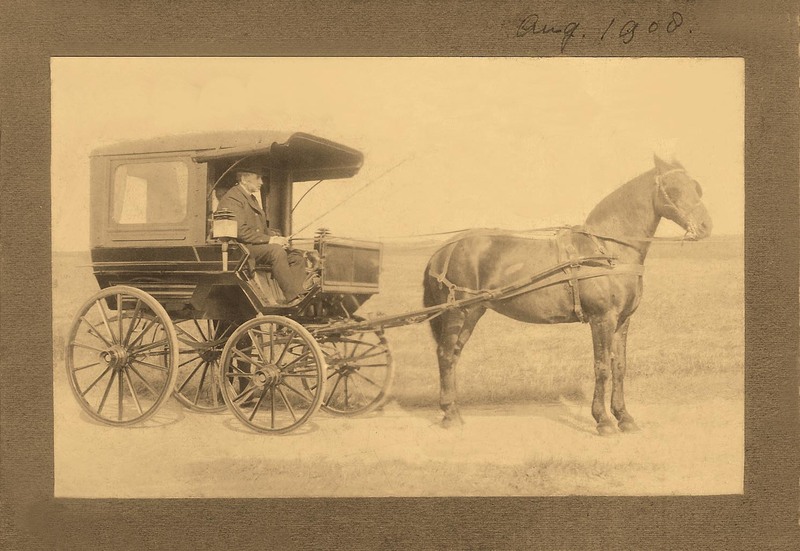 ORIGINAL POST: This photo almost could be filed under Mystery Photo Series on this blog. 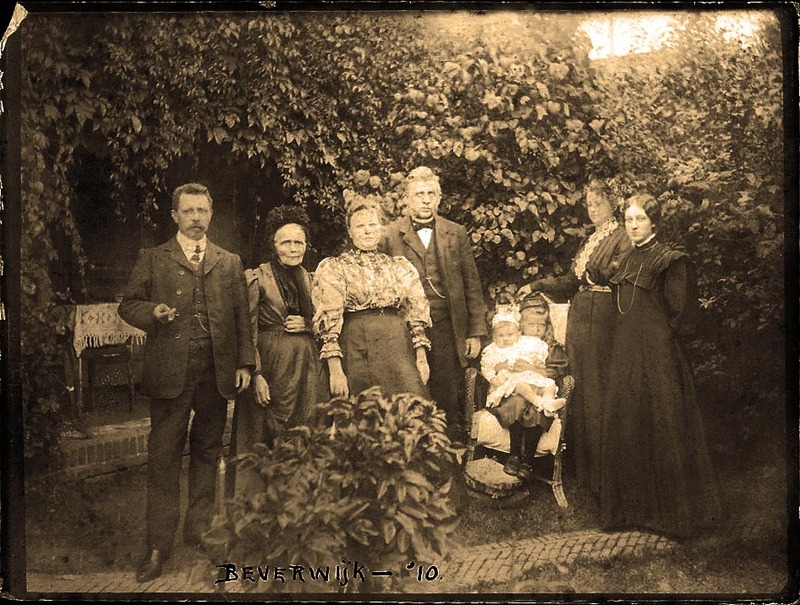 It includes my grandfather Johan “Hans” Siersema (fourth in from the right), but I have no idea who the other people in the photo are. The writing on the back says only G.H.B.S. Google searches brought up a hockey club called Gemeentelijke Hogere Burger School for those initials, and hockey is fairly important in my family. My opa played in an adult league after immigrating to Canada and my uncle said he thought my opa broke a couple ribs playing. However, this club is in Groningen and to my knowledge, Hans didn’t spend any time there. If anyone else has ideas, I’d love to hear them. This is the third, final, and most recent photograph of Gonda Margaretha Duuntjer that I have. It was sent to me by Halbo Kool. 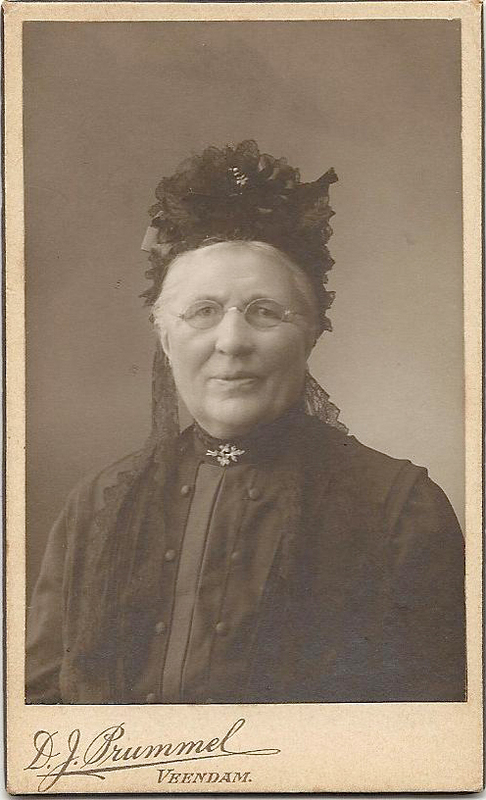 Gonda lived to be 81 years old [1840-1921], spending her whole life in Groningen, Netherlands. 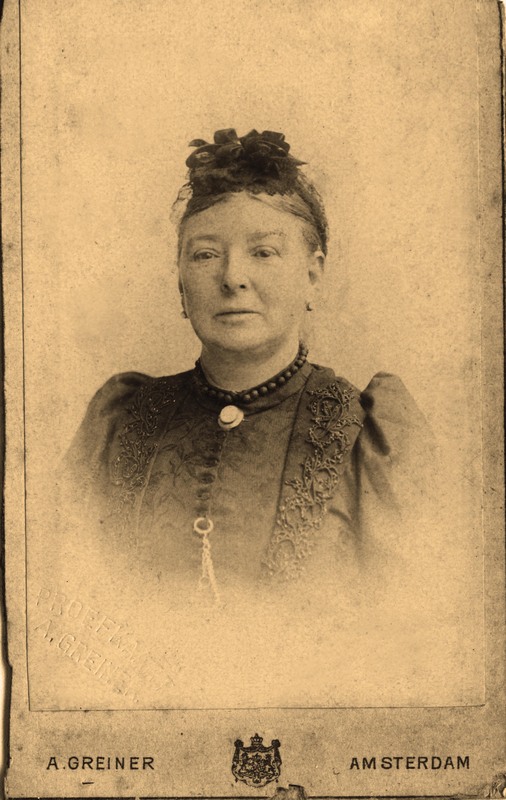 She married Cornelis Kool  and they had four children that I know of so far: Halbo Kool , Germ Kool , Elsina Anna Kool , and Hendrik Kool [about 1870]. This is another portrait Halbo Kool sent me, this one of our common ancestor Cornelis Kool. 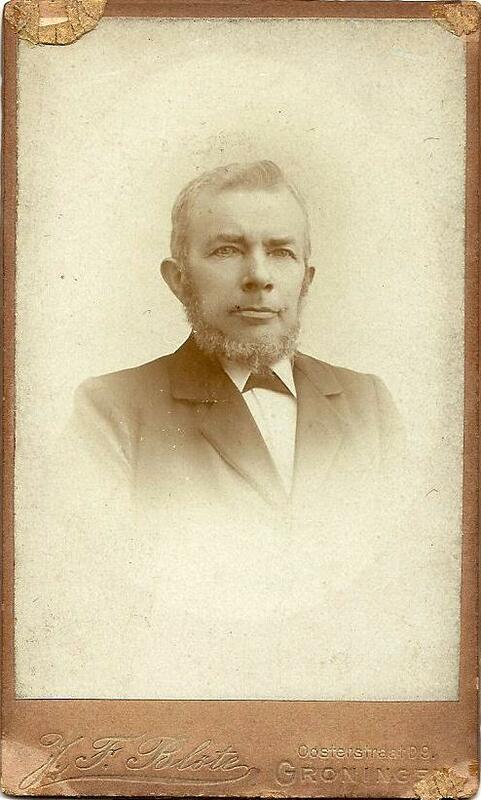 Cornelis was born September 9, 1838, in Gieten, Aa en Hunze, Drenthe, Netherlands, to Elsien Cornelis Schreuder and Halbe Geerts Kool. He was both a sailor and a skipper in his lifetime, according to his marriage record and a child’s death certificate, before he died on March 16, 1923 in Groningen. 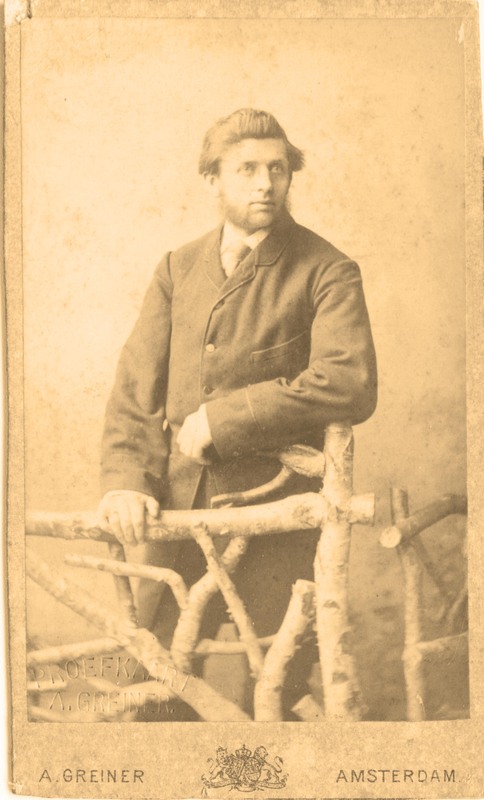 This photo, while likely taken of an ancestor, is a complete mystery to me and Halbo Kool, who sent it to me. Look at that beard! I looked it up. It’s not quite an Old Dutchman, funnily enough. 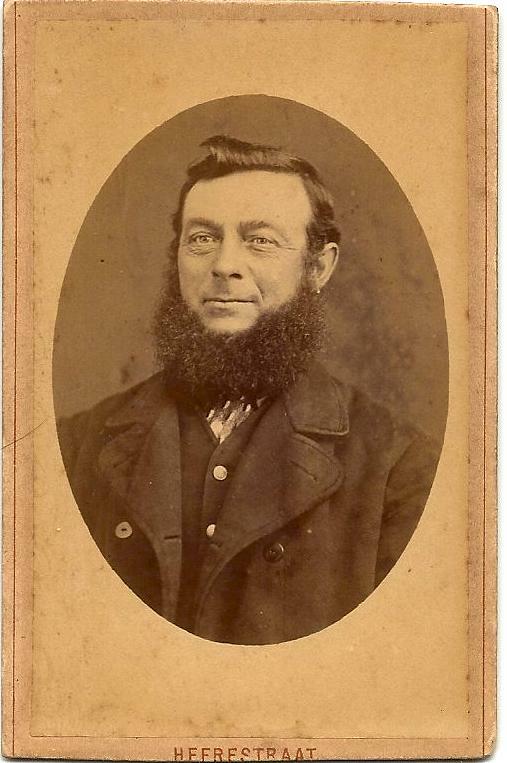 This is a style of facial hair often called a Chin Curtain or The Lincoln. I’m going with Chin Curtain, since the one thing I do know about this photo is that it was taken in the Netherlands, not America. 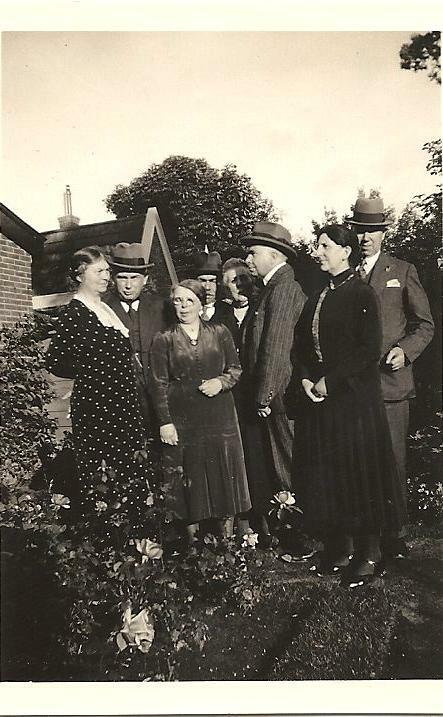 Anyways, this photo was in with others of the Kool family in the possession of Halbo Kool (the living one, not any of the previous generations). He doesn’t know who it’s of, but we are able to tell it was taken in Groningen and you can see a slight resemblance to Cornelis Kool  in the eyes, nose and lips. 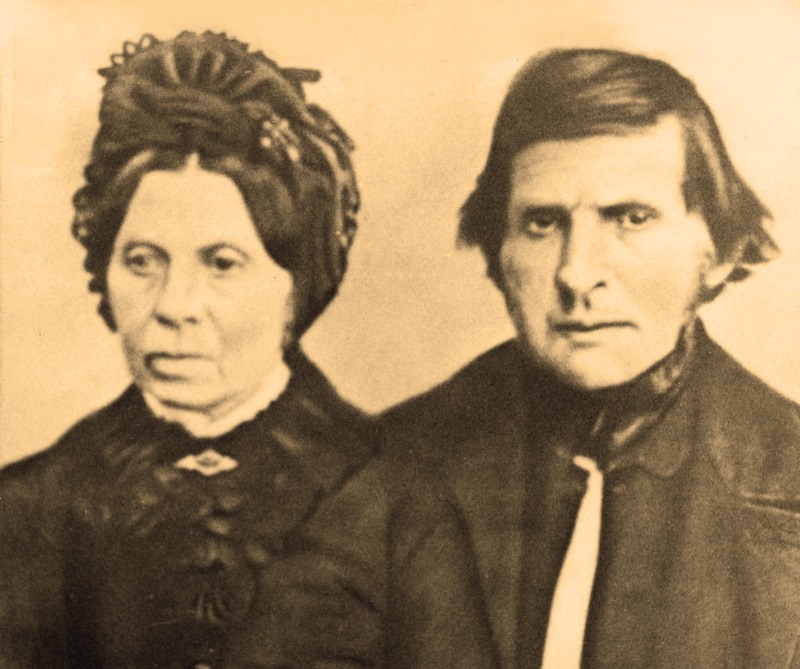 His clothing is similar to that of ancestors in other photos I’ve estimated to be from the mid- to late-1800s. 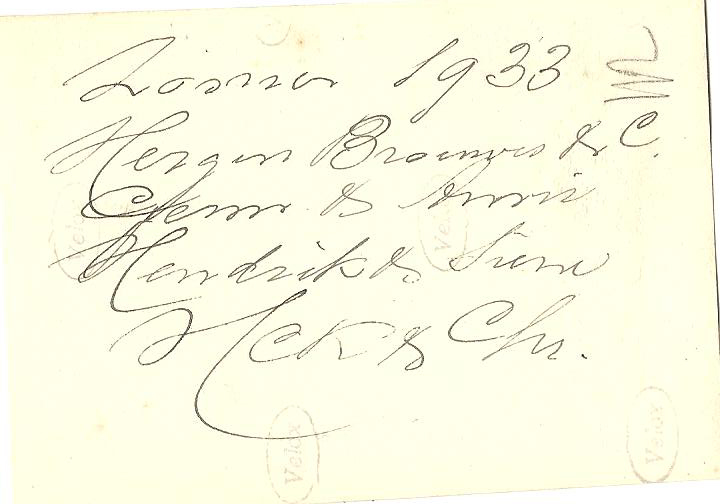 All this leads me to guess that the ancestor in the photo is likely one of Cornelis Kool’s brothers, of which he had three: Jan Kool , Heero Kool  or Harm Kool . There was a fourth brother, but he did not live to adulthood.